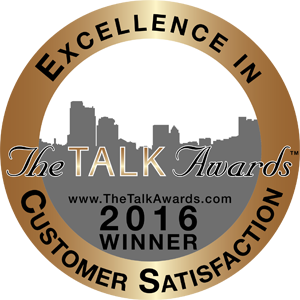 Pro Pool and Spa believes in providing the best customer service available anywhere in Northeast Ohio! 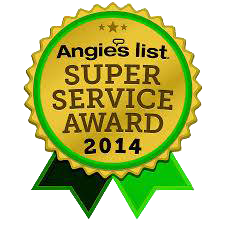 Many may make the claim but we back it up by earning the coveted Angie’s List Super Service Award every year since 2007. Whether you’re opening a new hotel and need a waterpark for the kids or you’re opening your own little water park in your back yard with a simple in-ground pool, Pro Pool and Spa has the trained and experienced staff to handle the project. Would you like to get a free estimate for installation, repairs or ongoing service in the Greater Cleveland Area? Contact us today and let us help you get the answers you need quickly. High quality doesn’t mean high price. At Pro Pool and Spa, we use a wide variety of vendors to make sure we get the quality products you want while still keeping our prices low. Because of our knowledge and relationship with our suppliers, we are able to offer competitive pricing on anything you need; from hottubs and pool liners to simple test kits and chemicals. Contact us today and ask about our Cleveland Area maintenance plans. Pumps, heaters, filters, ozonators, slides, covers, timers and more! 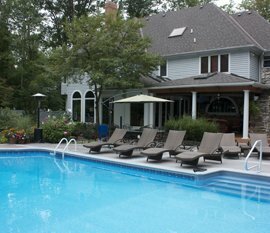 Our pool and spa experts can help you determine if you need service on your pool or spa, help you choose the right pool or spa for you home or Cleveland Area business and even walk you through some basic troubleshooting. Contact us today and let us help you. Featuring over 50 jets, this wonderfully warm and relaxing spa makes it easy to unwind after a hard day. Installed as an after-market item, this slide is entertaining for the whole neighborhood. With a wonderful view of the pool and gardens, summer time means more relaxation and serenity. 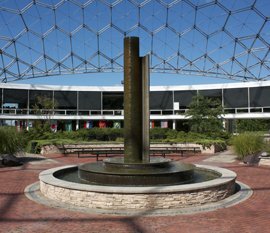 A beautiful centerpiece designed to provide a focal point for the entryway gardens at a museum. Whether it's a full commercial water park or a new pool for your back yard, Pro Pool and Spa will help you create the look and design that fits you best. 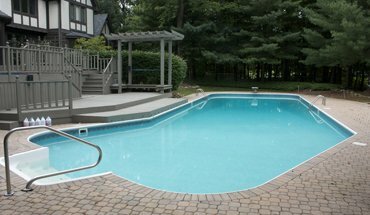 Pro Pool and Spa has experience installing everything from small spas to complete water slide sets in Cleveland area commercial water parks and even wave pools. 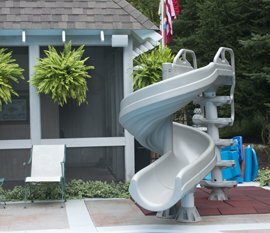 We carry all of the pool and spa supplies in a wide variety of sizes so you can get exactly what you need. Don't know what you need? Give us a call! 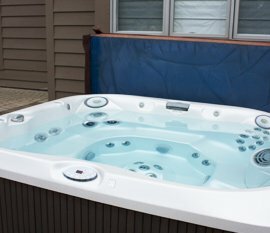 Pro Pool and Spa can handle any installation. From a simple spa to an in-ground pool to a full water park. We have experience in all areas of pool and spa installation and we specialize in high-end commercial installations. Call Today!